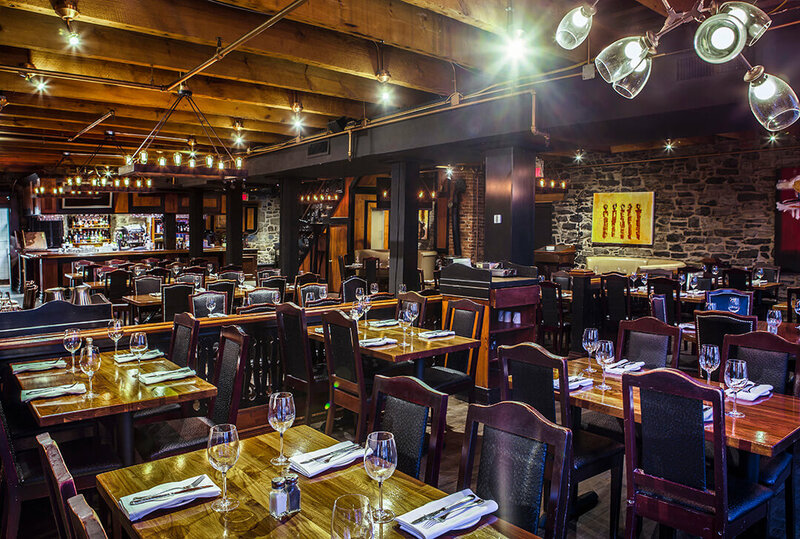 Vieux-Port Steakhouse has been serving the group market for over 27 years and has become an Old Montreal landmark that tourist groups from the United States, France, Italy, Spain, Germany, and South America visit, along with museums, the Old Port, the Imax Theatre and Marché Bonsecours. 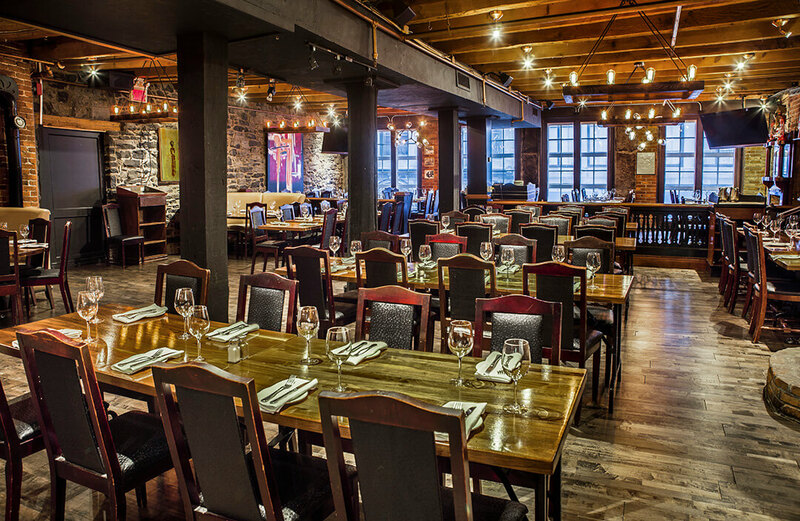 Ideally located in the heart of Old Montreal, Vieux-Port Steakhouse is just steps away from the Old Port and all the major tourist attractions. We assure all tour operators, that your clients (will be raving about their experience at) love Vieux-Port Steakhouse. We offer superb entrées, friendly attentive service, and a charming atmosphere. 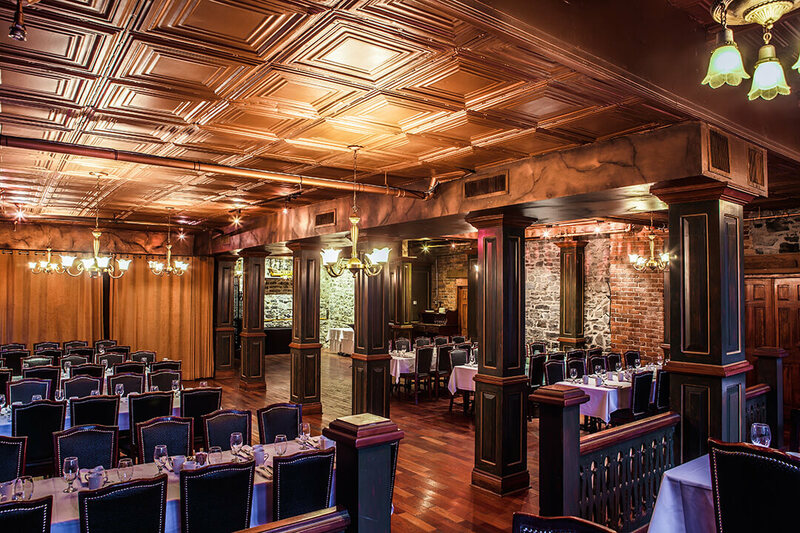 Furthermore, the facilities at Vieux-Port Steakhouse are ideal for the tourist group market, allowing us to seat groups comfortably in a private or semi-private dining room. We are very proud of our reputation in the Tour Group Industry and therefore take this market very seriously. We offer a number of group and banquet menus to fit any budget and culinary taste. Furthermore, our events coordinators will gladly tailor a special menu for your group or event. Sunday brunch is also available for your group. With its warm, authentic decor, hardwood floors and stone walls, this room expresses the building’s historic character. 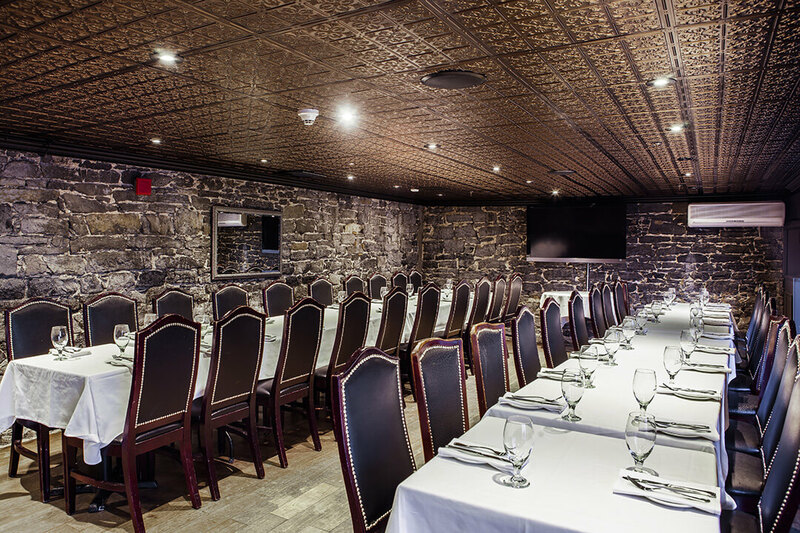 The Maisonneuve Room is the smallest of our private spaces and gives any event an intimate ambiance. This magnificent room boasts dark woodwork, windows with street views, a fireplace and an impressive wood bar with full service for your guests (open or cash bar). A large dining room with private entrance and washrooms, the St-Jean features authentic period decor including hardwood floors, picture windows and stone walls. Our largest private room, with seating for over 200 people. In addition to its spacious dance floor, it includes private washrooms and a coat check.